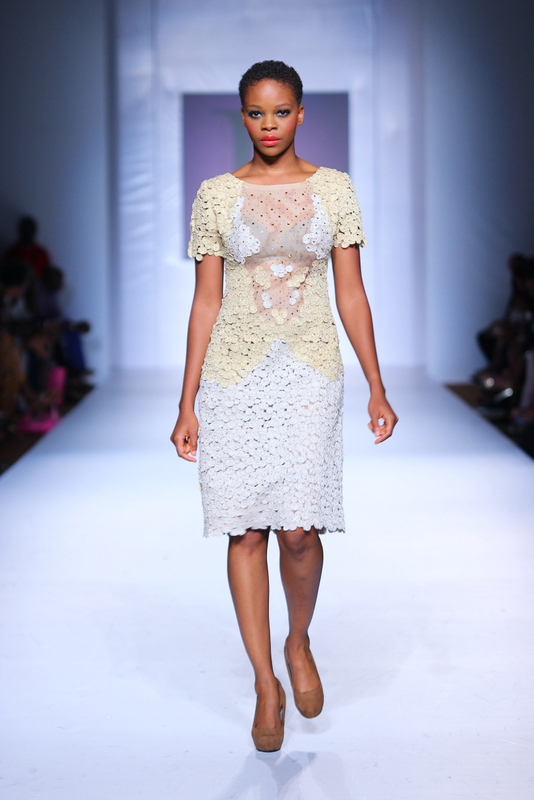 The Lanre DaSilva Ajayi (LDA) Spring/Summer 2013 made a debut at the Lagos Fashion and Design Week on October 27, 2012. For this collection, DaSilva Ajayi has specially designed Butterfly prints in various textures of silk fabrics. The choice of Butterflies for the designer symbolises many things from the hope of resurrection, to the reminder of the ephemerality of life which is also a main inspiration for the collection. Each piece in this “Butterflies” collection is best viewed as a symbol of beauty, femininity, and the ability to be ever changing. “I love Butterflies, and I always have. Whenever I see one, I always have to stop what I’m doing to admire it. These fragile, colourful insects are a symbol of grace, beauty and elegance. I believe that if a butterfly lands on your shoulder, it’s considered a sign of good luck,” she said. Other LDA’s signature fabrics such as Lace, Velvet, Sequin and Silk have been used to compliment these Butterfly prints. Whichever way a woman decides to wear these pieces; day or night, it works stunningly well.